The SEMA Action Network (SAN) was formed in 1997 to unite vehicle clubs, enthusiasts and members of the specialty auto parts industry as a political voice for the hobby. SAN efforts have resulted in positive outcomes on a wide range of issues, from vehicle scrappage laws to equipment standards, registration classifications, emissions-test exemptions and hobbyist rights. The SAN was formed as an organization with the means to create a way for enthusiasts to participate in the process. That group would keep individuals informed on proposed laws and regulations and create a method to bring their collective voice to bear on those issues. “Forming the SAN was a true grassroots, organic effort—there was no real e-mail yet!” Kersting remembered. 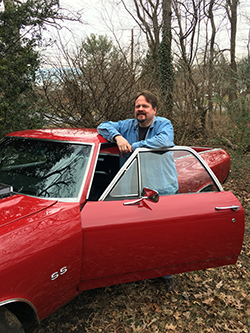 The first SAN Director was Brian Caudill, pictured here with his ’71 Chevy SS El Camino. Car clubs were an untapped group of enthusiasts at the time. Based on phone calls explaining the concept, car club leaders would agree to receive legislative information and disseminate it to their members. The first SAN Director, Brian Caudill, made dinner-time solicitation calls to club presidents. “I grew up under a car, so I was readily familiar with the car nuts we were attempting to attract to this effort,” he recalled. Caudill worked split days to get the plan moving by cold-calling car club leaders nationwide. Several hours in the morning spent sending solicitations introducing the program were followed by a longer night shift for contacting clubs from east to west by time zone. Internet information on the clubs was scarce, so some print publications such as Hemmings Motor News and Old Cars Weekly were invaluable in collecting leads. The calls went well because there was a great message behind the conversation. The SAN was about giving enthusiasts the tools to protect the hobby they held dear. Some were wary of personal contact information being used as a marketing tool to sell the industry’s products. Thus, the promise was made to these club leaders that they would receive only legislative information from the SAN. This promise remains in effect to this day. A method of communication was necessary in order to have a community that would thrive and grow. The team realized that there was enough information about what the state and federal governments were doing each month to fill a newsletter. The office’s receptionist, Tony Mills, expressed an interest in desktop publishing. He gathered up the information and put together the first issue of Driving Force. Researcher Joe Hill would perform an intensive physical search through state proposals. SEMA Vice President of Government Affairs Steve McDonald, who was then directing the state advocacy effort, received those bills impacting the hobby, crafted an advocacy strategy, and then drafted concise Legislative Action Alert messages. Caudill then sent out the messages to the affected enthusiast communities, often by regular mail and fax. A slew of challenges quickly consumed the SAN during its infancy. Before the group could begin making an impact on legislative efforts nationwide, it first had to prioritize the issues of the day. Identifying and understanding the threats and opportunities affecting the automotive hobby was vital to future success. The SAN began tracking those priority issues and responding throughout the legislative sessions in each of the 50 states. A unified voice was needed to spread the word about the effort. Individuals were recruited to engage local car clubs and relevant business interests. It was determined that reliable allies around the country could most effectively reach their communities and spread the word about SAN initiatives. In its earliest years, the SAN’s struggle with “clunker” proposals helped unite a growing force in seeking alternatives to crushing vehicles. Initially, fighting state and federal scrappage programs that target vintage cars and trucks struck a chord as the issue that united each niche segment of the hobby. 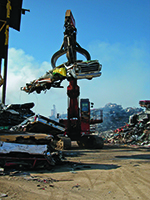 Those Cash for Clunkers initiatives sought to accelerate the normal demise of vehicles through the immediate retirement of older models that were then typically crushed into blocks of scrap metal. Such programs relied on the premise that the state would realize increased emissions reductions by scrapping older rides. As auto enthusiasts learned of the struggle with “clunker” proposals, they began stepping up as advocates for the cause. In 1998, working with the SAN, Bill Buck and the Arizona Automobile Hobbyist Council educated Arizona legislators and regulators about the inefficiencies of scrappage programs and the comparative advantages of voluntary emissions-system repair and upgrade. As a result, the first-ever state legislation authorizing voluntary repair and retrofit was signed into law as an alternative to crushing vehicles. A founding member of the SEMA Action Network (SAN), Virginia’s Tom Cox has dedicated more than two decades of legislative service to the automotive community. 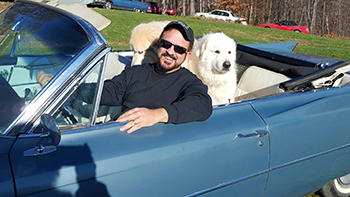 He is shown here riding proudly with his Great Pyrenees in a ’64 Cadillac convertible. “The fact that government would crush vintage vehicles but continue to allow stationary-source polluters to go unchecked was an ineffective way to improve air quality,” explained antique aficionado Tom Cox. Currently president of the Antique Automobile Club of America, Cox came to the blossoming SAN force as a veteran combatant on the legislative battlefield. Cox helped form several car club councils in Virginia, which eventually covered the entirety of his home state. Soon enough, Cox, along with his contacts and cohorts Fred Fann and Hal Hartel, had lines of communication set up between regions, area car club councils and the SAN to ensure that their voices were heard by legislators. Unfair exhaust-noise violations for aftermarket exhaust systems also plagued the automotive community for years. Fueled by The Fast & The Furious franchise, young enthusiasts were targeted at the height of the import “tuner” craze in the early ’00s. The growing problem made it clear that a fair and reasonable exhaust-noise standard would need to be created to combat the subjective policies being enforced in a number of jurisdictions. SEMA’s McDonald worked with the California legislature and the California Highway Patrol to draft and pass such a proposal. The SAN was tasked with combatting subjective exhaust-noise policies being enforced in a number of jurisdictions. Well-deserved credibility was earned by the SAN when California adopted the new exhaust system law in 2002. The state’s legal noise limit was set at 95 decibels under a fair test standard. Maine enacted the law in 2003, followed by Montana in 2007. Through the approved testing procedure, motorists in those states could finally fight citations issued by law enforcement officers by proving that their vehicles complied with state noise standards. The law also allowed courts to dismiss citations for exhaust systems that had been tested and for which a certificate of compliance had been issued. “By establishing this evenhanded testing process, the program served to benefit consumers who favor state-of-the-art products, the aftermarket industry that markets them, and even police officers who are charged with enforcing the law,” McDonald added. Ultimately, the program results certified that approximately 90% of tested vehicles were in compliance with the law. Those types of legislative triumphs early on bred a successful reputation for SEMA’s grassroots initiative. Thankfully, those fears were quickly dispersed and made way for real progress. In fact, SEMA-member businesses began trusting that their active involvement—coupled with consumer involvement—would expand opportunities for both. In particular, the SEMA-supported Automotive Restoration Market Organization took a keen interest in the SAN and actively promoted its growth and development. People such as Jeff Moses, Steve Ames, Corky Coker, Jim Wirth, Matt Agosta and Kathy Bybee-Hartzell were among those who fully supported the group’s advocacy mission. They acted as program mentors by challenging the SAN staff to find unique solutions to long-standing problems. It didn’t take long for the SAN to begin seeing a transition away from fighting the government to proactively creating mutually beneficial relationships with lawmakers and regulators. As unresolved legislative issues were discovered throughout the auto hobby, fair solutions were pursued. With the ever-growing popularity of street rods and customs—especially the replica and kit-car varieties—the need for unique licensing designations became critical. The SEMA-model Street Rod/Custom Vehicle Bill was developed by the SAN staff to simplify the titling and registration of these vehicles and remedy common troubles. It has since become law in 22 states to date. Modified vintage and reproduction vehicles did not fall under many existing state classifications. In these states, outdated and convoluted registration rules created confusion among motorists and those charged with applying the laws at the ground level. Thus began the task of designing and implementing reasonable titling, registration, emissions and equipment standards nationwide. A SEMA-model street rod/custom vehicle bill was developed by SAN staff to simplify the titling and registration of those vehicles and remedy common troubles. That effort was the product of consultation with the industry, state agencies, regulators and hobbyists. The model bill defines a street rod as an altered vehicle manufactured before 1949 and a custom car as an altered vehicle at least 25 years old and manufactured after 1948. Under the bill, kit cars and replica vehicles are issued certificates of title bearing the same model-year designations as the production vehicles they most closely resemble, are exempted from emissions inspections, and are required to carry only the safety equipment applicable to the designated model year. In 1999, Washington was the first state to enact portions of the street rod/custom vehicle model into law. Original SAN member Scott Cedergreen of the Washington Car Club Council played a critical role in its enactment into law. Illinois adopted the full version of SEMA’s model bill in 2002. The model has since become law in a total of 22 states to date. As the enactment of street-rod/custom-vehicle laws demonstrated widespread success, the SAN had proof that positive, proactive legislation could serve to create new opportunities for the growth of the auto hobby. As a result, additional SEMA-model legislation was designed specifically to create reasonable and practical solutions for specific issues in the automotive community, including those for inoperable project cars, exhaust-noise enforcement and use of nitrous-oxide systems. An agreement was reached that building bridges with legislators rather than demonizing them offered a much better chance to arrive at hobby-friendly outcomes. Virginia Delegate Jim Dillard was one of the first lawmakers to help the SAN enact pro-hobby vehicle legislation into law. After a great deal of effort by SAN clubs and contacts in 2000, Dillard’s bill to exempt vehicles 25 years old and older from Virginia’s mandatory emissions inspections was signed into law. In the past, the state exempted only vehicles manufactured prior to the ’68 model year. In 2000, the SAN awarded Virginia Delegate Jim Dillard (right) with a framed certificate of appreciation on behalf of the collector car community in Virginia for his leadership in enacting pro-hobby classic vehicle legislation into law. He is pictured here with SEMA’s Steve McDonald and SAN Director Brian Caudill’s unrestored ’71 Chevy SS El Camino. Close ties with elected officials would yield invaluable results for the SAN. Uniting lawmakers in a common cause made even more sense as the American auto industry celebrated its centennial in 1996. To mark the milestone, SEMA helped form the Congressional Automotive Performance Caucus to raise the auto hobby’s profile on Capitol Hill and in the eyes of the public. Twenty years later, it counts 80 congressional leaders from both the House and Senate among its ranks, and a number of them have proven to be valuable allies. Federal proposals benefitting motorsports, turnkey replicas, off-road recreation and other topics have been successfully supported by those in the caucus. In 2005, the concept of creating an alliance with legislators was taken a step further with the formation of the State Automotive Enthusiast Leadership Caucus. As with the federal caucus, the SAN sought to partner with state lawmakers from across the country through a nonpartisan effort. This group has since proven to be a vital tool for advocacy efforts in state houses nationwide. As many laws concerning vehicles are governed at the state level, caucus members help safeguard and advance the rights of enthusiasts. Formed in 2005, the SAN-supported State Automotive Enthusiast Leadership Caucus is now made up of more than 650 legislators from around the country with a common goal to support the motor vehicle hobby. The caucus has been chaired by former Montana Senator Brueggeman (right), former New York Assemblyman Bill Reilich (left) and is currently lead by West Virginia Delegate Gary Howell (center). The SAN-supported State Automotive Enthusiast Leadership Caucus is now comprised of more than 650 members and is represented in each of the 50 states. Through the caucus, the SAN has established direct access to those officials on the issues that matter most to the community. Former Montana Senator John Brueggeman said that being named the first caucus chairman was among the greatest honors of his legislative service. The caucus would go on to be chaired by former New York Assemblyman Bill Reilich and is currently led by West Virginia Delegate Gary Howell. Within a few years of its founding, the SAN had earned an ability to influence laws nationwide and arrived at a turning point. An increasing number of people wanted to join the network as individuals. It became clear to the staff that this strictly grassroots effort needed to identify ways to promote further growth. 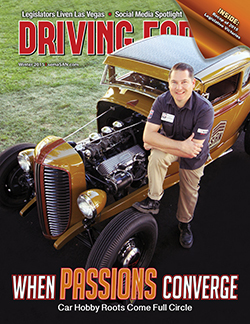 SEMA’s California-based headquarters was enlisted to improve the Driving Force newsletter’s production value—a move that relieved the office in D.C. from duties as a makeshift mailing house. It has since become a longtime award-winning publication. An official logo was designed and implemented by early 2003 to give the SAN a visual identity, followed by additional marketing materials and promotional items. Development of a modest website became necessary as well. At first, it was populated with legislative material and a contact e-mail address to request information. Soon, exposure exploded and the data management quickly became unwieldy. Always a champion of the hobby, SEMA Board Member and car collector Doug Evans gave the SAN invaluable exposure through his position with Hot Rod in the early ’00s. Much of the credit for that additional exposure can go to Doug Evans, who has been a consistent champion of the hobby not only as an industry veteran and member of the SEMA Board of Directors but also as a car collector himself. His prominent position with Hot Rod magazine in the early ’00s was leveraged to help get the word out about the SAN in a big way. First, he invited staff to secure a spot on the Hot Rod Power Tour to mix with the crowd and promote the program. By working with Evans and his staff, Hot Rod and its sister publications stirred activity on legislative topics quickly, especially as the affiliated websites took hold and could post content immediately. “My ability to continue Mr. Petersen’s legacy and help the cause has been a real pleasure,” Evans added. After 10 years, it became obvious that those north of the border faced nearly identical challenges when it comes to vehicle laws. Thus, the SAN broadened its legislative advocacy efforts to include the Canadian Parliament and provincial governments. Expansion into Canada took place in 2007, when a working relationship with the National Association of Automobile Clubs of Canada (NAACC) was established. The Coachmen’s Collector Car Appreciation Day event at Simi Valley Town Center, California. Promoter Skeeter Rader (right) and co-chair Paul Dryman (left) received certificates of recognition from the administrative assistant to former state Senator Tony Strickland for the club’s effort to promote the hobby. 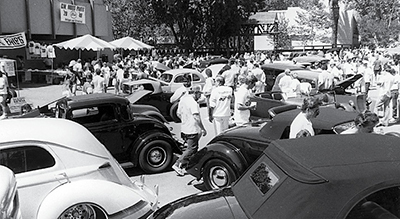 The SAN earned a special day of celebration for the auto hobby with the first national Collector Car Appreciation Day (CCAD) in 2010. Intended to celebrate classics of the past and the future, the U.S. Senate first helped launch CCAD by passing a resolution at the SAN’s request. This holiday acknowledged that the collection and restoration of historic and classic cars is an important part of preserving the technological achievements and cultural heritage of the United States. Every July since, a wide range of car shows and other events have been held to commemorate the occasion. “The Coachmen have held a cruise each year on CCAD to heighten awareness of collector cars, not only to hobbyists and the general public but also to legislators at all levels,” said devoted SAN member William “Skeeter” Rader. Having been involved since the celebration’s inaugural year, the Coachmen group’s annual tradition has steadily grown into an impressive event that attracts hundreds of show vehicles, and CCAD has grown worldwide, inspiring a number of states, provinces, counties and cities to follow suit with their own recognition. In fact, many of the Canadian provinces have added to the spirit by officially declaring Collector Car Appreciation Month and Automotive Heritage Day/Month. Colby Martin, the SAN director since 2011, is pictured with the ’31 Ford Model A that he and his dad restored. The car was displayed at the 2015 SEMA Show. During their spare time, Martin and his dad spent 13 years collecting parts and refinishing the coupe. The SAN’s present form began to take shape at age 15. A strong emphasis was placed on incorporating emerging technologies more closely to affect public policy. Printing presses and land lines had made way for instant communication via the internet, with less cost attached. Electronic messages, social media and mobile devices had significantly shifted the world’s attention. Targeted, effective branding was never more crucial to attracting untapped audiences. Thus the “Ignited We Stand” promotional campaign and other elements were put in place. Martin took the lead of the SAN from his home at SEMA’s headquarters in late 2011 after having established a career with the association. He was hired by SEMA while still attending college, with a lifelong interest in cars and trucks behind him. Unlike those who had previously held the SAN director position, Martin had no background in government affairs. His days of supporting the SAN on the road and his role in the creation of the successful “Protect Your Passion” campaign helped pave the way. With tens of thousands of individual members representing each state in the U.S. and the Canadian provinces, the SAN has become a formidable policy-influencing powerhouse, with ever-growing influence throughout the legislatures. Impressive legislative victories have subsequently been achieved at the state and federal levels. 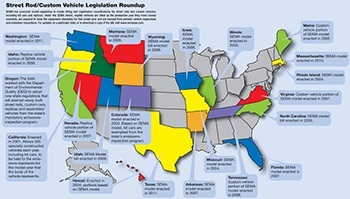 Significant strides have been made in the areas of titling and emissions requirements for collector vehicles, limiting vehicle and property tax increases, protecting backyard restoration projects, expanding registration plate options, increasing recreational access to public land, and limiting federal and state-level ethanol-fuel mandates. In 2009, the U.S. Congress was persuaded to spare cars 25 years old and older from the scrappage heap and expand parts recycling opportunities under the Cash for Clunkers program. Replica fans will soon be able to purchase turnkey vehicles, thanks to a SAN-supported law. Most recently, a grassroots movement to “Save Our Race Cars” from government threat has gone viral. An army of SAN allies has spread throughout North America in the last 20 years and continues to cover the spectrum of four-wheeled interests. Despite the membership’s widely varying differences in region, personality and vehicular taste, this combined force is more connected than ever. Kersting added that the most important thing to note about the success of the SAN is that it succeeds because enthusiasts take part. For everyone who comprises the SAN, thank you for your dedication and vigilance over the last two decades. May the coming years bring even greater triumphs!